"Brilliant news, a huge leap forward for our organisation"
"I wanted to offer my congratulations to the Institute members for achieving this great goal. In particular, to Ian Thompson, Sue Saunders and Julian Penton. Another fantastic goal achieved for Human Givens"
"Congratulations to everyone involved. I have some small understanding of all the hard work and commitment of those involved in successfully bringing HG through the accreditation process. It is a wonderful achievement that will benefit both practitioners and prospective clients. Thank you"
"YAY! Congratulations to everyone involved – what a fantastic achievement. Great opportunity to celebrate at the conference! Best wishes to all involved"
"Wonderful news, congratulations! I am sure that this will be very helpful for independent practitioners who are not BACP or UKCP registered, as well as to the Human Givens Institute as a whole. Thank you so much for your hard work"
"Brilliant breaking news! I personally have great hopes for this to be a real milestone on how HG will make its presence felt in the world of therapy and also generally in human progress..."
The refined version of the Rewind Technique, as taught by HG College, is now set to be offered for birth trauma on the NHS following accreditation by the Royal College of Midwives (RCM) of a new birth trauma resolution training course for midwives developed by Human Givens practitioner and hypnobirthing practitioner/trainer Jenny Mullan. “I’m absolutely thrilled!" 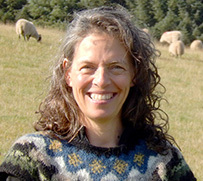 says Jenny, "it means that this powerful trauma treatment will now be available on the National Health Service. It’s long overdue." "I have also been invited to run a workshop and have a stand at the European Midwifery Conference later this year. 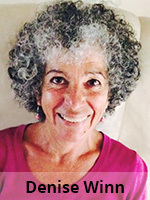 The conference will be attended by leaders in midwifery education from all over Europe and Australia and New Zealand, which is very exciting – it means that the rewind technique for birth trauma could be taught all over the world. I will be working very hard to make that happen." This is fantastic news, Jenny's determination and hard work is paying off. You can read her full story here. Many HG therapists will have heard the excellent webinar on feedback-informed treatment, given recently by HG therapists Bill Andrews and Jo Ham. Bill and Jo have asked us to make it clear that, although the webinar mentioned a cost of £150 a year per practitioner to use the excellent Pragmatic Tracker resource, that only applies to non-HG therapists – all HG therapists on the HGI's accredited register can enrol in Pragmatic Tracker at NO COST! If you didn’t see the 'Pragmatic Tracker and Feedback Informed Treatment' webinar, or would like to see it again, you can watch the webinar again on YouTube. If you are an HG therapist wishing to use Pragmatic Tracker, simply email ptsupport@humangivens.com stating your name, year of completion of your HG training and your HGI number and you'll receive the instructions you need to get started. If you'd like to subscribe to newsletters about Pragmatic Tracker, find out more here. “A central tenet of the Human Givens RIGAAR model is 'goal setting'. With the complexity of human interaction it's quite easy to get deflected from the intention of the therapy, as various other issues arise. Keeping a focus on the goals, as defined by the client, observing whether things are moving in the right direction, adding to the list of goals as some get achieved: these are all of central importance in effective therapy. 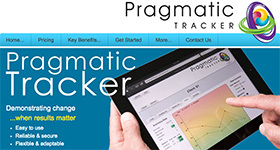 To find out more about Pragmatic Tracker, which is available at no charge for HGI Registered Members – click here. We all find it enormously helpful to learn from each other. So, if you have had an extremely interesting or unusual case history – or more than one – in which you used HG methods to great effect, Denise Winn, editor of our journal, Human Givens, would love to hear from you. We hope you've enjoyed this edition of the Human Givens e-newsletter. If you're coming to the HGI Conference next week – I look forward to seeing you!